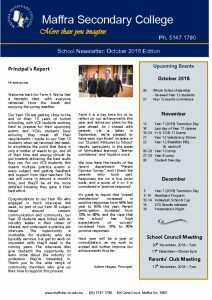 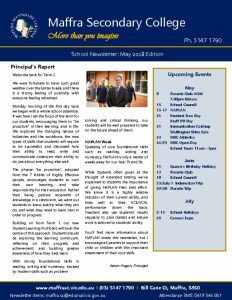 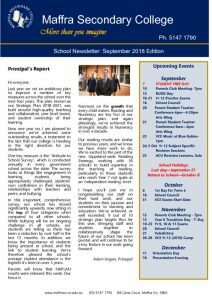 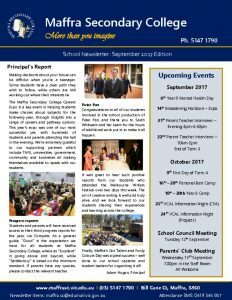 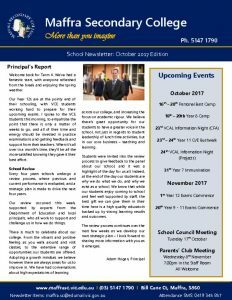 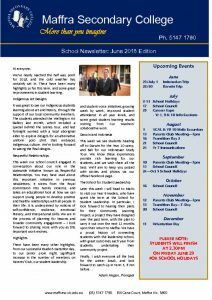 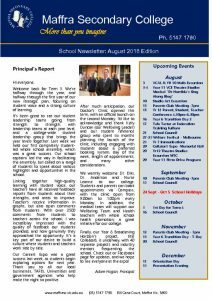 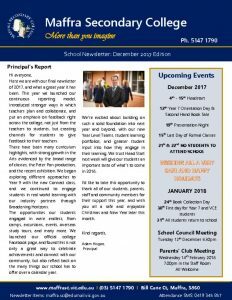 Maffra Secondary College publishes a monthly school newsletter containing school news, achievements, events and upcoming dates. 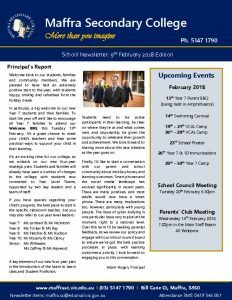 More frequent news updates are available via our Compass Newsfeed. 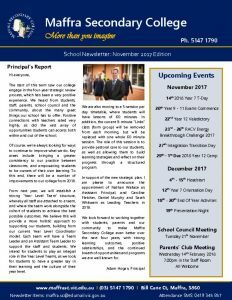 The newsletter is available to families and our community via this page, or via email upon request. 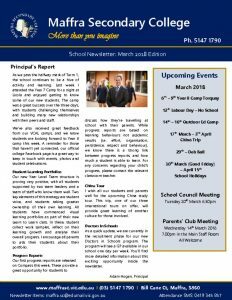 Hard copies are also available in the general office, and students are welcome to collect these and bring them home.